UPDATE: Unilet marks 30th anniversary of Blue Murder Sale with Sinful Saturdays | What Hi-Fi? Unilet Sound & Vision in New Malden is planning its biggest ever Blue Murder sale with a series of 'Sinful Saturdays' running from April 16th to June 4th. The seven Sinful Saturdays will run in conjunction with Unilet's usual Blue Murder special offers and discounts. Hot deals this year will include Panasonic 42in plasma TVs from £99 and a pair of KEF Reference 207/2 loudspeakers at £5399 (normal price £10,000). To secure a preview of the many cut-price products on offer, you have just five days left to register on the dedicated Blue Murder Sale website. This will give you advanced notice of the special list of sale items. Launched 30 years ago, the Blue Murder sale has become a landmark event with keen bargain hunters often arriving the night before it starts and camping in the company's car park. The first shoppers through the doors at 9am on Saturday get a bottle of champagne, and bacon rolls are available throughout the morning. The final sale list and prices are being kept under lock and key until nearer the event, but Unilet promises "some never before seen prices of the kind people can normally only dream about." Potential customers can register their interest in the sale at a special website, www.bluemurder.info. Do so, and you'll be the first to be supplied with the list of sale prices. 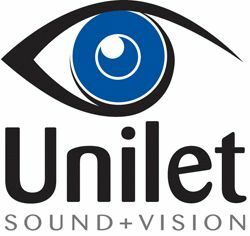 Vernon Hamblin, director of Unilet, says: "This will be the biggest and longest Blue Murder sale in the history of Unilet Sound & Vision. We have been working very hard to secure fantastic bargains for our customers and some of the deals we are promising for our Sinful Saturdays are so good even we can't believe them!" Unilet Sound & Vision is located at 35 High Street, New Malden, Surrey KT3 4BY.